This tiny shoe from Aaron Bash'a Baby Shoes collection is a small wonder. 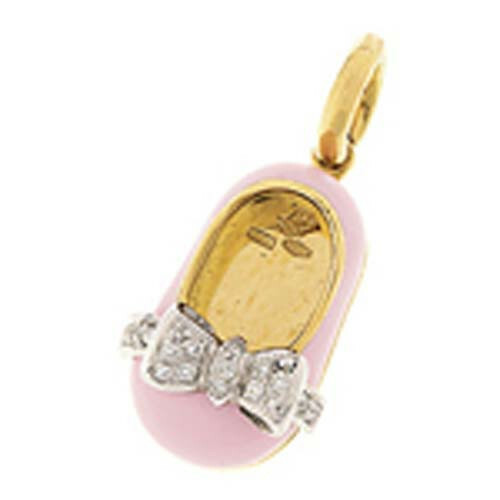 Molded in 18kt yellow gold, this shoe is treated to a pink enamel makeover with a beautiful diamond bow. This bow is set in 18kt white gold to give the shoe a subtle contrast. Represent the little girl in your life with this fabulous Aaron Basha shoe that will look stunning on any charm bracelet or necklace.